Janice has shared her review of Stater Brothers Store Brand all purpose cleaner. Like many homeowners, I have tried a variety of household cleaners. Some were brand-name expensive cleaners from stores like Von’s; others were "generics" from warehouse stores like Costco. I have also tried "Green" products that are supposed to be good for the environment from stores like Trader Joe's. 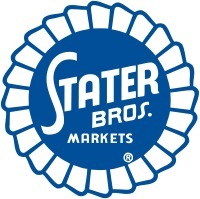 I always come back to the same, inexpensive all-purpose cleaner from my local Southern California grocery store chain, Stater Brothers. The cleaner is simply called Stater Brothers All Purpose Cleaner. I have used it in all the usual areas of my home that require a general-use cleaner. It works on all kitchen, cooking, and bathroom surfaces. In my kitchen I've used it on my kitchen counters, kitchen sink, kitchen tabletop, stovetop, stove hood, oven exterior, refrigerator (inside and out), dishwasher exterior, and kitchen trash cans (inside and out). In my bathroom I've used it on my bathroom sinks, all toilet surfaces, bathtub, shower stall, shower tiles, all chrome (kitchen and bathroom faucets), bathroom trash cans (inside and out), and bathroom scale. I have two large dogs, and I have even used it on my carpet to clean up after "doggie accidents". It worked great to lift the stains and remove the odors. The lower part of my home's walls get dirty frequently because of the dogs. I use the spray cleaner and a kitchen towel, and the walls clean right up. sanitizer. The label says to saturate the area with cleaner, and then allow it to stand for a minute. I have never used the cleaner in this manner, however. The cost of the cleaner is great--it's pretty much the cheapest cleaner around, which makes it a great buy in addition to being a great cleaner. I was skeptical when I first tried it--I have found that with cheap products, you often get what you pay for. This cleaner, however, is an all-around great deal. The cleaner is easy to use. Just spray and then wipe with paper towels. Some heavily soiled or greasy surfaces require a little scrubbing with a sponge. It has a pleasant, inoffensive clean scent. I don't like heavily perfumed cleaning products, and I barely notice the scent of this one while I am cleaning. I haven’t found a cleaner that works better for the money. When I go shopping, I always wait until I need to visit Stater Brothers to buy my all-purpose spray cleaner. Thanks so much for sharing your review of Stater Brothers store brand all purpose cleaner Janice. It just goes to show you that the most expensive name brands don't necessarily clean the best! Does anyone else have a favorite all purpose cleaner they like to use? If so, please share your general purpose cleaner review here, or read even more reviews about these products from other readers. House Cleaning Supplies Reviews: What Products Work Best?